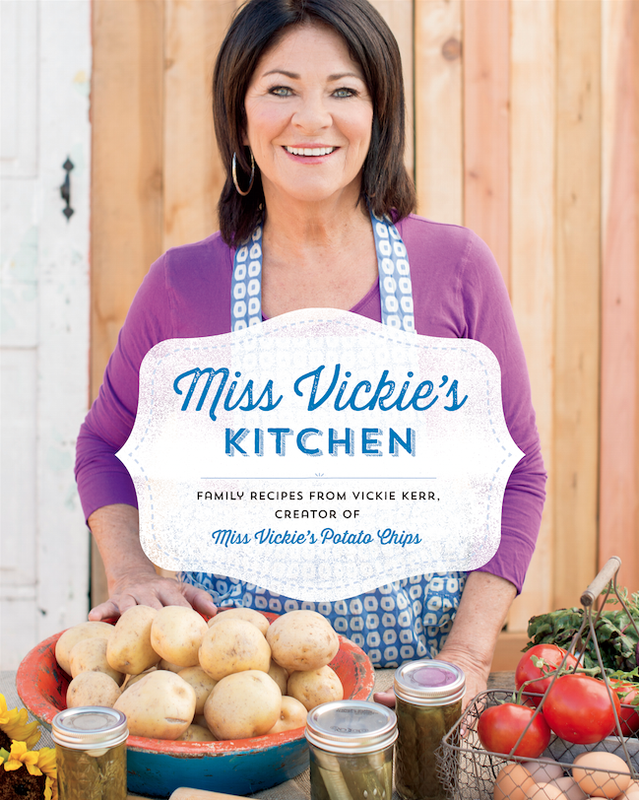 Vickie Kerr, creator of Miss Vickie’s Potato Chips will be in Vancouver from November 19 to November 22 to promote her new cookbook ‘Miss Vickie’s Kitchen’. Vickie Kerr has always been passionate about preparing nutritious meals for her family, and it was her desire to make a healthier snack for her four young children that resulted in the recipe that launched Miss Vickie’s, one of the most successful potato chip brands in North America. Now, after more than thirty-five years preparing food for her family in her kitchen, Vickie has written her first cookbook to share her recipes. Miss Vickie’s Kitchen is both a collection of recipes and the story of a family legacy spanning decades. The book features more than seventy recipes, from healthful salads and sides, to delicious entrées, hearty soups, and comforting casseroles, through classic desserts and preserves. Beautifully designed with full-color photographs, it offers instructions that are so simple and straightforward that even the newest cooks will feel confident getting into the kitchen. Also included are Vickie’s family stories, photos, and anecdotes that are sure to inspire readers to gather loved ones around the table for a meal prepared with their very own hands. Vickie Kerr is a Canadian entrepreneur and creator of the Miss Vickie’s brand of potato chips. She launched the brand in 1987 after creating an original recipe that used potatoes her husband, Bill, grew on their farm. Vickie is also a dedicated home cook and advocate for the idea of creating a family legacy through food. She believes everyone can cook simple, healthy, delicious meals at home and that they are meant to be shared around the table with family and friends. This is her first book. She divides her time between Arizona and Ontario. 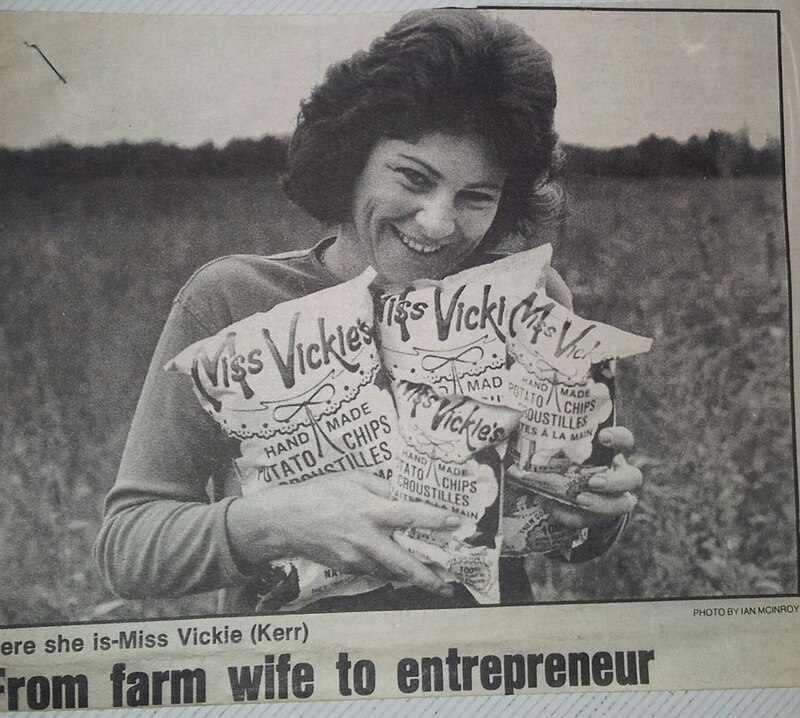 “Miss Vickie” is Vickie Kerr, the Canadian entrepreneur who created Miss Vickie’s Chips in her kitchen on the farm in 1987 in Ontario, Canada. Vickie wanted to make healthier snack for her four young children, so she created a recipe using the potatoes her husband, Bill, grew. She left the skins on, sliced and hand-stirred them one small batch at a time. She used non-hydrogenated, 100% pure oil with no preservatives or anti-foaming agents. When the golden chips were cooked, she sprinkled them lightly with sea salt, because that’s what she always used in her own kitchen. Miss Vickie’s business grew so successfully on the New Lowell farm that two other Miss Vickie’s potato chip kitchens had to be established to satisfy customer demand. One kitchen was located in Quebec and the other in British Columbia. By 1992, Miss Vickie’s had become a Canadian national potato chip brand! After more than thirty-five years spent preparing food for her family in her kitchen, Vickie Kerr had the idea to write a book to compile her family’s history through the food they love to eat! The title of her book is “Miss Vickie’s Kitchen”. In addition to family recipes, Miss Vickie’s book contains a photo album and diary of the Miss Vickie’s business “start-up”, and a compilation of “Letters to Miss Vickie”. Release date: November 2014. This entry was posted in Miss Vickie and tagged Alberta Canola Producers Commission, Arizona, BC, blog, Canada, Facebook, Kitchen, Lesley Diana, Miss Vickie, new, North America, November, Ontario, potato chips, PR, press, publicist, Quebec, The Promotion People, Twitter, Vancouver on November 10, 2014 by press.